Let yourself be tempted by an exceptional personalised iPhone 7 Plus case, you won't be disappointed! Make your own iPhone 7 Plus case for the most unique and stylish protection. Let your imagination run wild and design your own iPhone 7 Plus case. What about a personalised wooden case? Why choosing a personalised wooden case? 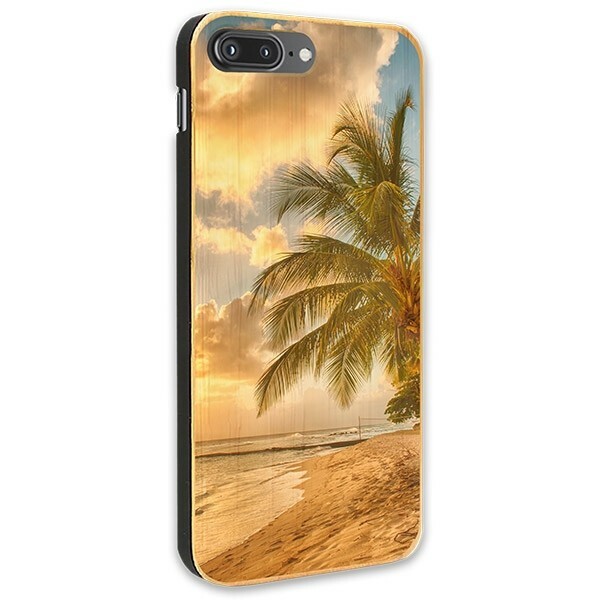 Well, as printing specialists, we can assure you that this case, as much a protecting effectively your iPhone 7 Plus, it will provide your phone with a unique and solid look, as well as a natural grain. It has been designed with a wooden back and a soft rubber base to protect it in every situation. Either at work, while practising sport or on a special trip, your phone will stay safe so you can keep it as good as new for longer. Design your own personalised iPhone 7 Plus case now, you deserve the best quality! Design your very own personalised iPhone 7 Plus case! Convinced with the personalised wooden case? Then start to make your own personalised iPhone 7 Plus case! At GoCustomized, we have put our user-friendly customizer so you can design your own phone case very easily and in no time. First, upload your picture. You can do it from your computer, your phone or your social media account. Then pick a layout if you feel like making a collage. Do you lack inspiration? Don't worry! We have put a wide choice of premade designs and templates at your disposal so you can use them and still get a stylish case. For the final touch, you can add a text or a date, some stickers and a filter. That's it, you are already done! Check your design to see if it corresponds to what you are looking for and place it in your cart. What happens once you are done with making your own personalised phone case? Well, you don't have very much to do! Just double check your design, proceed to the checkout an fill in your information. Once you are done, we will take care of the rest. 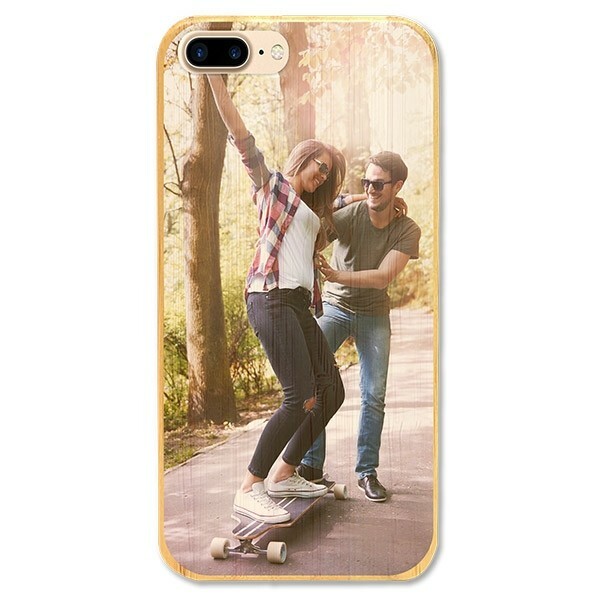 We will print your personalised iPhone 7 Plus case almost immediately and ship it within 24 hours so you can get your personalised phone case in no time! As printing specialists, we will carefully check your case so you will receive it exactly as you designed it. Awesome isn't it? If you have any uncertainties about our methods or products, fill free to read our "Frequently asked questions" or contact us directly at support@gocustomized.co.uk. It would be a pleasure to answer your questions!